Viktor Muzhenko read this between the lines in Putin's speech. 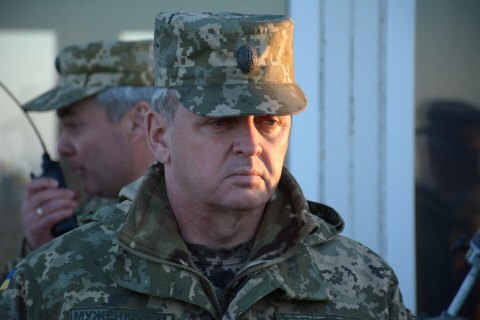 The head of the General Staff and the top commander of the Armed Forces of Ukraine, Viktor Muzhenko, is concerned about Russia planning to escalate hostilities in Donbas. "No joke. The events of the past two weeks show that Russia is preparing to step up warfare in Donbas," he tweeted. On Facebook, he said: "No joke. There is another maniac threat by Putin to Ukraine which he made public at the 'The Arctic: Territory of Dialogue'. I believe a global catastrophe in the world can only be arranged by Russia. If not for the West, Russia would have made it happen long ago." Muzhenko was likely to be referring to Putin's remarks about a global conflict which can happen if the West tries to "contain Russia". Speaking about Ukraine and US reaction to the Russian aggression against it, Putin said: "If we try to use such dangerous means as regional conflicts to contain someone, this may lead to global catastrophes, to global catastrophes." As reported earlier, yet another agreement on a ceasefire in Donbas was reached, effective as of 1 April. The Ukrainian antiterrorist operation HQ has recorded 12 ceasefire violations by pro-Russian militants since the midnight of 1 April.